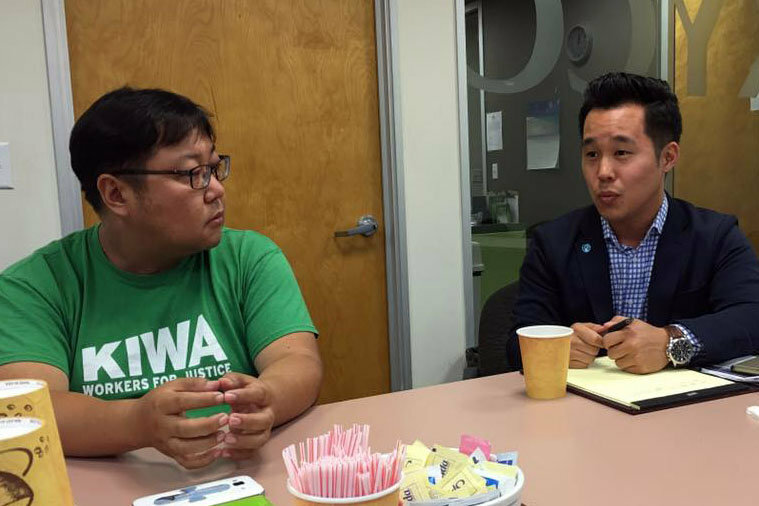 Councilmember Ryu’s story is simply inspiring and amazing to me. His election really puts into perspective how much each vote counts and can make a real difference. It’s hard to argue that voting doesn’t matter when he was able to pass the preliminaries due to having only 61 votes more than the next person. Another key point that I took away from our meeting was “what affects your life the most is local [politics].” With the extremely controversial presidential election, along with contested national and state elections, it is often easy to overlook local politics. Ironically, local politics is where the aspects of our day to day lives are most affected, making it just as, if not more, important to participate in it. Throughout the panel, we were able to learn a lot about the Korean American experience and how history has shaped it. The biggest takeaway for me was John’s quote, “our adversary is not among us, it is actually above us.” He emphasized the need for different communities to work together to create more resources instead of fighting each other for the same small amount of resources. Some of the advice that the speakers gave to us in order to foster good relationships included listening to different perspectives, constantly bringing something to the table, ensuring the message gets across in the correct way, and internalizing the reason you are doing what you are doing. Throughout all of the civic leadership sessions, I have been able to learn so much about what real leadership is, the diverse Asian American communities, and the unique paths and advice of each speaker. All the speakers imparted so much of their knowledge upon the cohort and I know that I will rarely have the chance to have other opportunities like these. I hate goodbyes, but sadly this was the week of goodbyes. I really enjoyed interning at the State Controller’s Office and I walked away from the experience with more knowledge on financial fitness, external outreach, and working in the real world. It is also time to say goodbye to the CAUSE Leadership Academy. This experience has been everything I had hoped for and more. I am going to miss the support system of CAUSE, the camaraderie of my cohort, and most of all, the unparalleled experiences and opportunities that I received. I am ending these nine weeks more confident in my ability to lead and more assured than ever in my path of public service. While this is a goodbye to one chapter of my journey, it is also the gateway and starting point to my hope of making a difference in the Asian American community.